The idea of making music in your bedroom regularly elicits the notion of a stripped back, individual sound. Someone crouched over software and a midi keyboard in their unlit room creating skeletal compositions that may perhaps not be heard outside of the four walls that have been their only comfort through the process. For Zee Town & The Dog Boys, this is quite the opposite. After introducing the spacious delicacy of their first self-titled EP that was influenced by their Falmouth flat, the duo of Thomas Armstrong and Molly Martin have returned with their second effort, an uninhibited, deeply personal work that blossoms in it’s composure. Each track on the EP is crafted with a meticulous hand, moulding arrangements that are at once unsettling and lusciously comforting in equal measure. The pair are able to find a coherent balance in evoking a suitable mood without overlooking melody. Throughout it’s fifteen minutes, dark ripples of distortion wash over contrastingly rich, tenderly-picked chords, creating a dense atmosphere of unease and confusion. ‘Maybe‘ flitters within pensive contemplation, subtle hints of abstract melodies appear through looping, stop-starting tones. ‘Turn To The Sun‘ offers mild cathartic escape, it’s woozy tempo a soothing remedy from the more melancholic notions that fill the EP. Where Armstrong quietly tinkered with analogue and digital sounds on their earlier self-titled effort, here he purposefully casts together something that pleasantly flows, each part relatively sparse when considered as a singular element. Melancholy weighs heavily across the EP’s duration, from sorrowful vocals to the abstract synth and pin-drop percussion. In particular, Martin & Armstrong’s harmonising vocals adapt from murmured and indistinct to towering and resolute, carrying an air of vulnerability and regret throughout. The interplay between the two is integral, their voices as important an instrumental element as a mood-affecting narrative. Creating something so detached from everything apart from one another, they create something beautifully introspective with a window to delve into one’s own mind state. The duo evoke a sense of weary defeat. ‘Someone To Behold‘ looms to a chiming chorus, Armstrong’s faceless drawl crying “I broke one more promise to myself // maybe we are all just dust on the shelf“. Intensely personal, they paint a bleak picture of repentance, a distressing image that presents the harrowing effect of confronting yourself. Zee Town and The Dog Boys have confidently developed the sound of their stellar first EP. In displaying a patient, considered approach, the pair adeptly evoke an element of personal infliction that really controls the mood of the record, creating something substantial in their experimental arrangements whilst retaining pop nous. If a full-length should appear in the near future, hope for something expansive and uncompromising; because, as proven here, it is where the group thrive. 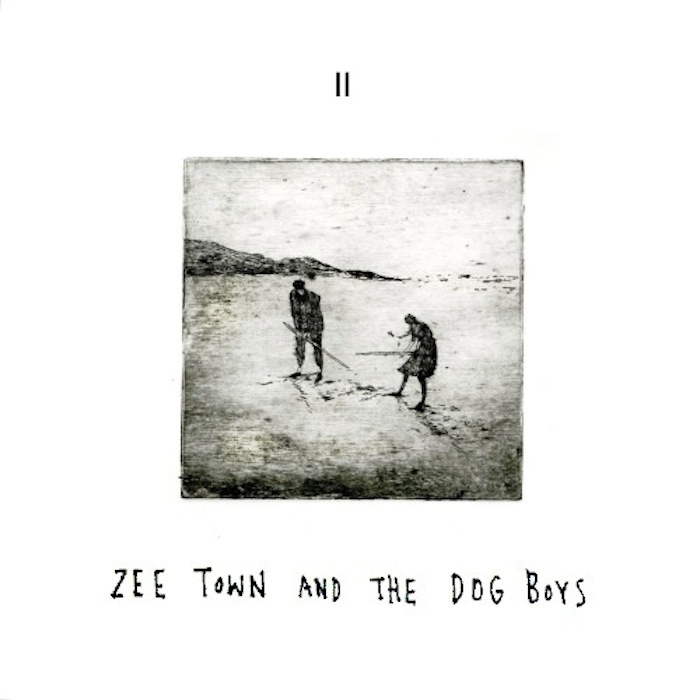 ‘II’, the new EP by Zee Town & The Dog Boys, is out now through Wavey Head.